starring�Patricia Arquette.�Inspired by real events about the first FBI agent to be accused of murder. Patricia Arquette, Steven Weber and Mare Winningham. are the vital ingredients of this steamy, emotional drama, inspired by real events about the first FBI agent to be accused of murder. Living a dead end life in dirt poor Kentucky, the pretty and flirtatious Deanne Wilson thinks her bad luck has changed when she falls in Love with handsome FBI agent Jeff Avery. He's going to be her ticket to a glamorous new life in California. 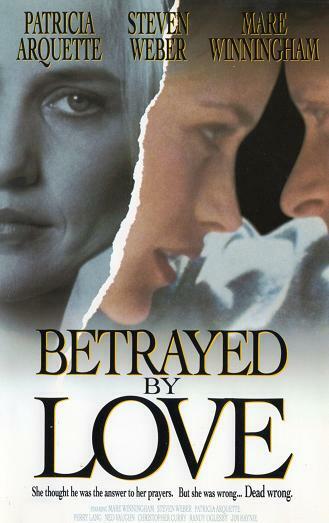 But Deanne's elder sister Dana suspects that the dashing FBI agent might just be taking her naive sister for a ride to further his own powerful ambitions. And, if Deanne starts causing trouble, just how far will Jeff Avery go to stop an inconvenient woman, from getting his way.